We all approach artistic evolution in different ways. Die-hard fans might feel angry or betrayed at a musician’s new direction. They might commit themselves to one particular album, destined to play it on repeat forever even as their favorite band grows and grows. Saturday Night Live’s recent critique on the matter, using the always divisive Weezer as a marker, proves as such: Sometimes we’re just not open to change. But the fact of the matter is people change, and as art is so often an extension of the inner-self, their music evolves, too. Singer/songwriter Sharon Van Etten has experienced a lot of change since the release of her last album, 2014’s Are We There, and they’re the kind of life-altering shifts—newfound romantic partnership, motherhood, career advancements—that are all but destined to reveal themselves in one’s art. And here, on her fifth studio effort Remind Me Tomorrow, those evolutions are apparent in a powerful sonic swerve, and in Van Etten’s desire to explore both nostalgia and rebirth, and maybe even how they intertwine. Remind Me Tomorrow is the first great rock album of the year, and it would behoove any and all of Van Etten’s fans, even those who staunchly prefer her folk-leaning material, and rock ‘n’ roll aficionados of all stripes to open their ears (and their hearts) to this beautifully executed pivot. Remind Me Tomorrow is a New Yorker’s album. And not just because the magnificent music video for single “Seventeen” is Van Etten’s self-described “love letter” to the city, though that clip, which shows her revisiting NYC venues like Union Pool and Pianos, is compelling enough to convince you of the Brooklyn-based artist’s fierce love for the place she’s called home for almost 15 years. The whole album is a love letter to the city’s sounds and colors. Van Etten wasn’t herself present for NYC’s early 2000s rock renaissance (though I’m sure her early-career stint at Brooklyn label Ba Da Bing was plenty educational), but there are nods to that era’s finest visionaries around every corner: The intense, driving Strokes-reminiscent rock ‘n’ roll on “Comeback Kid;” the synthy tick-tock of “No One’s Easy To Love,” comparable to that of LCD Soundsystem. Van Etten has captured the scrappy mood of the Lower East Side and brooding drag of Brooklyn, all while musing on her life, her new love (with former drummer and current manager Zeke Hutchins) and amorphous career. In the past, Van Etten has specialized in lyrics that’ll make you weep—tales of disintegrated love, fodder for the heartbroken and, occasionally, remedies for the emotionally abused. These songs still possess the power to induce tears—chills, at the very least—but there’s not as much despair. On Remind Me Tomorrow, Van Etten’s a wizened kind of happy. The album opener, “I Told You Everything,” is about bearing it all to a partner, with no fears or doubts. “I told you everything,” she sings. “No changing my mind.” Later, on “Malibu,” as she ponders the longevity of her relationship, her imagery and narrative are as brilliant as ever. “I walked in the door / The Black Crowes playin’ as he cleaned the floor / I thought I couldn’t love him anymore.” As ever, Sharon Van Etten can pack 25 layers in a single verse, multiple meanings in one specific personal anecdote. And for all its bold sonic upheavals—the addition of drum machines and electric shred and cavernous synth—Remind Me Tomorrow maintains Van Etten’s gothic sensibilities. She moves me most when she sings in her dusky howl, like on the haunting (an overused word in criticism, but truly) “Memorial Day.” She’s some kind of ghoulish messenger, intent on singing the good word, but in a foreboding manner. “Jupiter 4” (named for the synthesizer she used to write the album) is downright spooky; an alien-like synthline creeps along even as Van Etten sings lovesong lingo: “Baby, baby, baby / I’ve been searching for you.” Though she sings mainly of being at peace on this album, Van Etten is not quick to shed her dark side. “Seventeen” is without a doubt the album’s centerpiece. With those same yowling synths, she takes a turn for the Springsteen, allowing herself to float down memory lane. She certainly has the Boss’ flair for the sentimental, but she also takes youth’s appeal with a grain of salt (“I used to feel free, or was it just a dream?”), and the track is livewire—it’s so electrically charged, it could soundtrack an action movie. 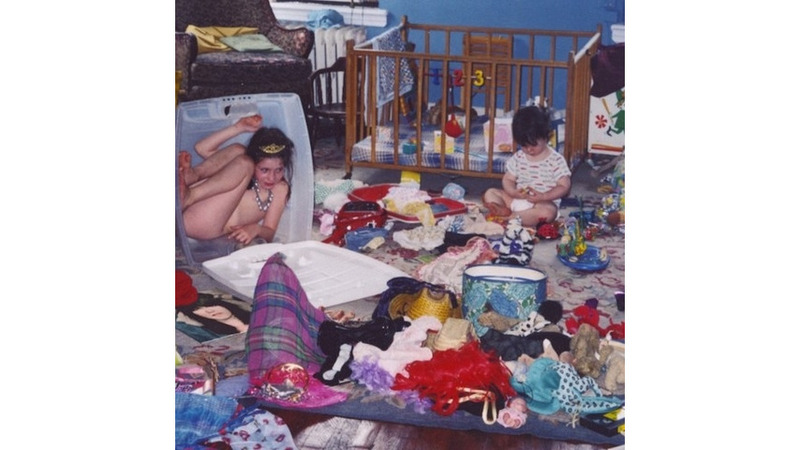 Sharon Van Etten was already one of the great lyricists of the ‘10s, but with this breathtaking new project, she’s proved an artistic pliancy her contemporaries may not possess. She hit her stride with Are We There, but here she’s not even on the ground.